Deidesheim is a small village in the Pfalz region, with quiet winding cobble stoned streets, timber-framed houses and rustic wine taverns. It is the home for a number of renowned wine producers, including Weingut Bürklin Wolf, Weingut Geheimer Rat Dr. von Bassermann-Jordan, Weingut von Winning (Dr. Deinhard) and Weingut Reichsrat von Buhl. The latter 3 are under the same ownership; they belong to the Achim Niederberger Group. The later Achim Niederberger was a major factor behind an amazing development in the past 10 years in which Deidesheim has become one Germany’s culinary centers. Without his vision, efforts and financial resources, Deidesheim would not be there were it is today. This posting provides a list of Schiller’s Favorite Restaurants in Deidesheim. All of them have a very strong wine list. Some of them are part of or are linked to a winery. Michelin: The comfortable dining rooms at St. Urban exude the traditional charm of a German country inn. This is the ideal place to savour a well-prepared meaty classic or a Palatinate speciality such as zander served with a cream and Riesling sauce and black pudding. All washed down with a glass of local wine, of course! Deidesheim was made world-famous, when former German chancellor Helmut Kohl, who lived close-by and fell in love with the place, brought high-ranking visitors such as Margaret Thatcher, Mikhail Gorbachev, Boris Yeltsin, and Spanish King and Queen Juan Carlos I and Sofia to town and introduced them to local Palatian fare such as Saumagen at the Deidesheimer Hof. Michelin: This lovely vaulted restaurant is a long-standing favourite on Germany's Südliche Weinstraße or Southern Wine Route. 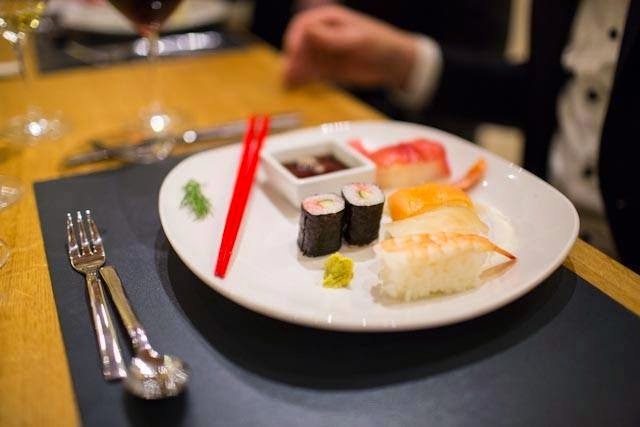 Weaving creative and Japanese elements into his classic cuisine, chef Stefan Neugebauer successfully combines the old and the new. The front-of-house team under Andreas Weber offers top quality service with wine recommendations to match. Michelin: Freundstück is a truly modern restaurant in terms of both its attractive, minimalist-style interior and the fine cuisine prepared by Axel Krause and his team - you can even steal a glimpse into the kitchens. Fans of Riesling take note: the wine list is long and comprehensive, and is more than matched by the excellent wine suggestions. You can even enjoy the whole experience in the pretty interior courtyard. Michelin: In its lively modern wine bistro, the Ketschauer Hof offers a friendly and more casual alternative to the Freundstück restaurant. Try the delicious tapas menu - the Arctic char with sesame spinach and shitake mushrooms and quail breast with iceberg salad and Café de Paris butter are both excellent. 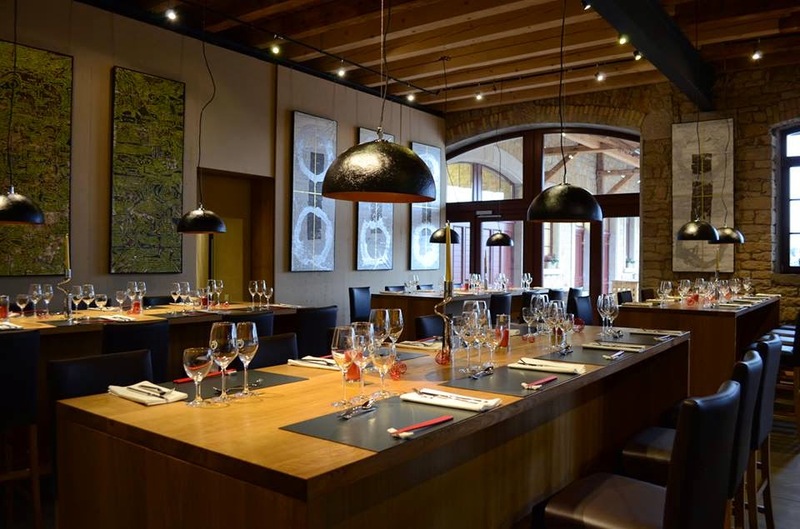 Michelin: The restaurant in the Winning wine-growing estate is very popular with the guests. Clean-lined, modern and high quality design in the former stables with rough masonry walls and sturdy columns. This is a Japenese restaurant, part of Wein- und Sektgut Josef Biffar. Wein- und Sektgut Josef Biffar is managed by Fumiko Tokuoka and owned by the Tokuoka family in Japan. The Tokuoka family leased the Weingut Reichsrat von Buhl from 1989 until 2013, when the lease expired. During this period, Fumiko Tokuoka, who studied winemaking in Geisenheim, brought the run-down Weingut Reichsrat von Buhl to new hights. Fumi is in the Katharinenbild, which the Tokuoka family bought in 2010. In 2013, the Tokuoka family bought Wein- und Sektgut Josef Biffar. The Tokuoka family has undertaken major investments in the new endeavor. Michelin: Karin and Florian Winter are the friendly hosts at Gasthaus zur Kanne, reputedly the oldest inn in Palatinate (its first mention in the history books dates back to 1160). The chef's refined, sophisticated regional cuisine includes stuffed pig's stomach with porcini and duo of Helmbach trout. Dishes are accompanied by an excellent selection of local Bürklin-Wolf wines. Hotel Kaisergarten has a nice wine bar with a large counter, the only one of this kind I saw in Deidesheim. Hotel Kaisergarten belongs to the Achim Niederberger Group. VDP producer. Siben's Gutsküche is in the estate’s courtyard. This posting is part of the Schiller’s favorites series. Hallo Christian, habe gerade deine Artikel über Deidesheimer Restaurants gesehen, da fehlt ja noch das Hofgut Ruppertsberg. "Freundstück" heißt jetzt "L.A. Jordan". Freundstück was remodelled and renamed.